Great location. Reception Aldo and co workers very hospitable and helpful!! It was a comfortable apartment with a great location. Great location with small terrace overlooking the main street. The place was very clean. Beds were comfortable. Staff was very pleasant. Apartment was well appointed with a patio overlooking the main street. Nothing fancy but the staff was accomodating. Very cozy and convenient to what we wanted to do. 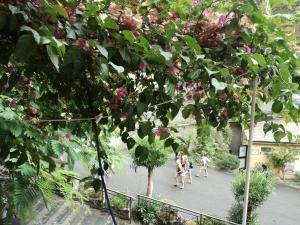 The location was very convenient to the train station and other amenities in Riomaggiore. We arrived after a terrible storm. There were no grocery stores or restaurants open. The manager kindly gave us food and drink to help us that evening, and we were also invited to join their hotel guests at breakfast the next morning. They helped us navigate parking as well. So, in addition to being a great place to stay, the hosts went out of their way to welcome us and make our challenging stay more enjoyable. Great location, mini apartment on the high street in Riomaggiore, a perfect base to explore the area. The apartment was well equipped. Having books in several languages was a nice touch. We enjoyed our stay. 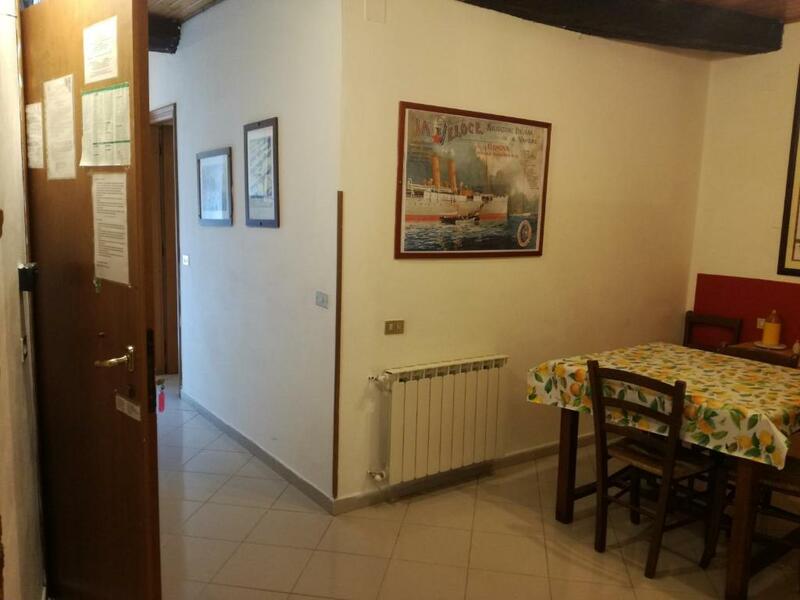 This property offers functional apartments with a TV and kitchenette in historic central Riomaggiore. The popular trekking path, Via dell'amore, in Cinque Terre National Park is a 5 minute walk away. 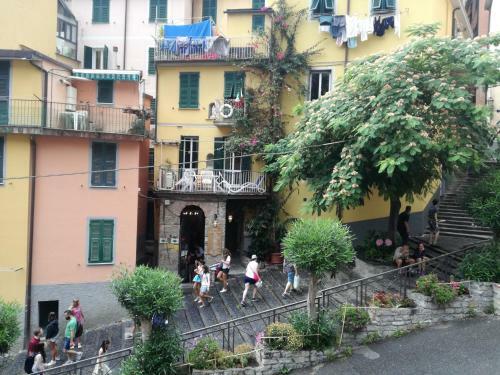 Riomaggiore Appartamenti features traditional apartments in the center of the village. Each apartment has a private bathroom with hairdryer. Riomaggiore Train Station is a 15 minute walk away. 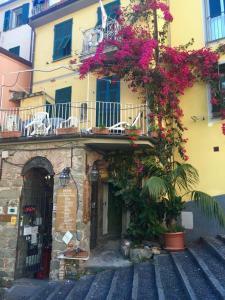 It offers services along the coast to other Cinque Terre towns and to La Spezia. 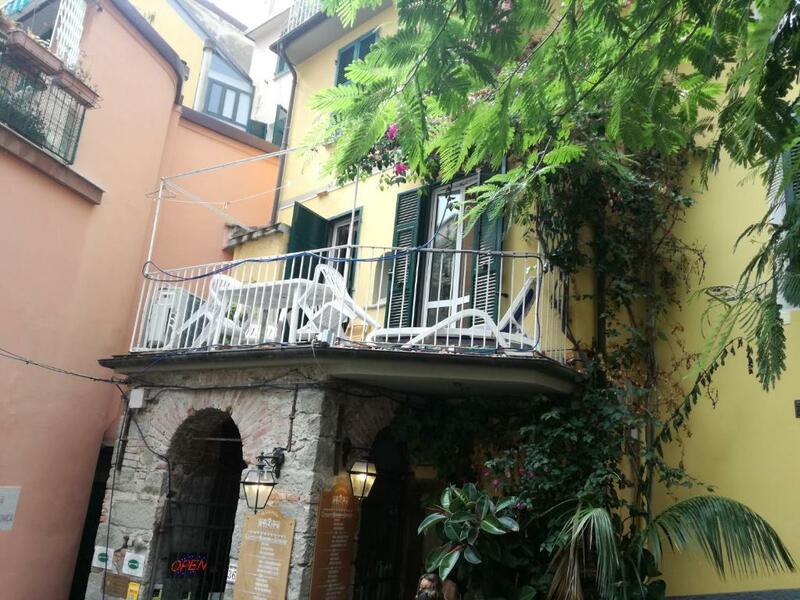 Portovenere is around 30 minutes away by car. When would you like to stay at Riomaggiore Appartamenti? Simply furnished apartment featuring a living area with TV and kitchenette, plus a private bathroom with free toiletries and hairdryer. 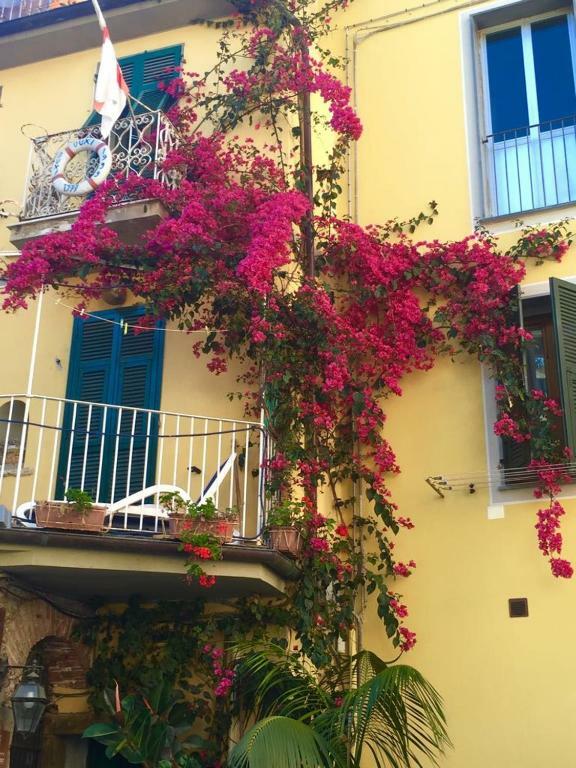 House Rules Riomaggiore Appartamenti takes special requests – add in the next step! 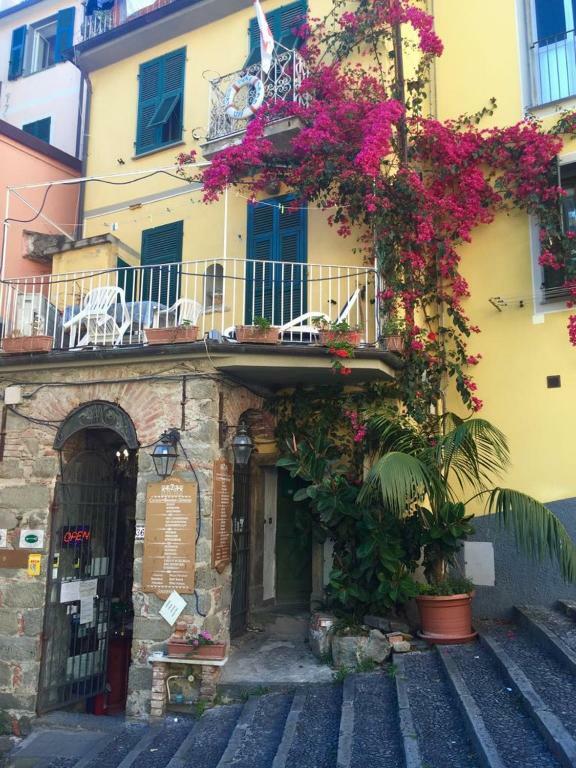 Riomaggiore Appartamenti accepts these cards and reserves the right to temporarily hold an amount prior to arrival. Please note that there is no elevator up to the apartments. Check-in is not possible after 00:30. After we left we noticed that we had bug bites which we suspect are bedbugs. We telephoned the management to let them know but they never returned our call. I dislike posting this sort of thing and wouldn’t post it if they had called back and let us know what was being done to correct the problem. At this point, I am just posting this to caution the next person. The apartment was a bit hard to find especially at night. A dim hall light would have been very helpful. No AC, too expensive for the value. 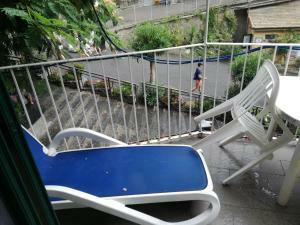 The location and the balcony of 5 persons appartment was excellent. 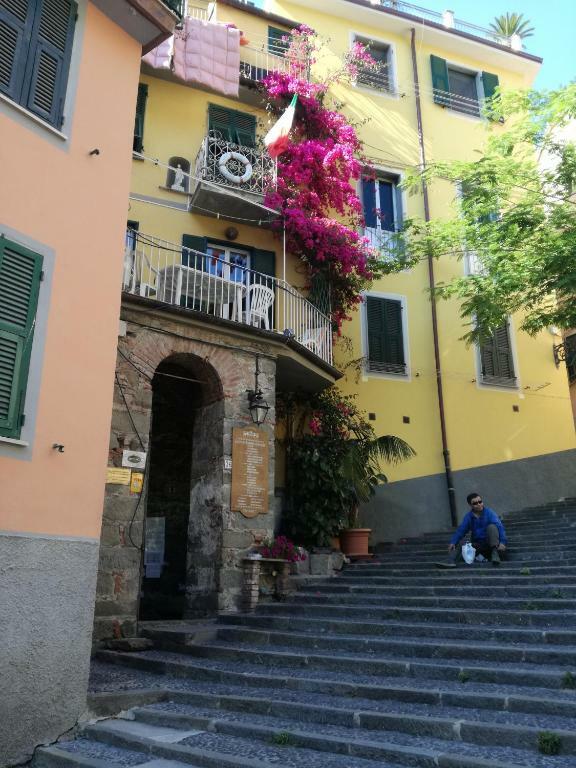 I travelled with my family and we used the appartment as base for exploring the cinque terra cities and area for four days. No cars are allowed into the city, and there is limited capacity for parking close to the city. Arrive early or late (after 6 PM) to get parking close to the city. Basic facilities getting a bit run down. Stairs to apartment steep. Very central. Beds comfortable and great to have kitchenette. Poor quality/uncomfortable beds. Mine had broken/loose slats and I had to remove the mattress to reattach the wooden slats, moving the broken ones to the foot of the bed. Very steep steps to reach apartment on 1st floor. Not recommended for anyone with mobility problems. The only thing that gave us a bit of trouble was when we would arrive back to the apartment, we struggled for 10 minutes just trying to unlock the door. I didn't think a door should be that difficult to unlock. 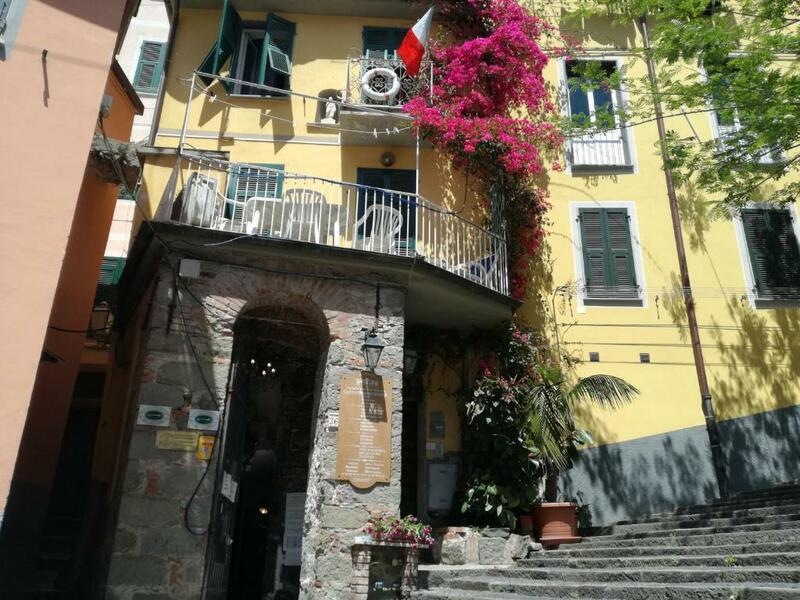 Perfect apartment in the centre of Riomaggiore. It has 1 room with a double bed and then a simple bed separated, which is good if you are three. The room has a big window that overlooks the main street, but it didn’t disturb. It had a kitchen with everything u need, which made it really comfortable for us. Will definitely recommend.